Chiropractic Primary Spine Practioners (PSPs) in their comprehensive approach to diagnosis and treatment, helps patients understand the root of headache pain. Treatment may include trigger point therapy, gentle massage, spinal manipulation, or other evidence-based, gentle and safe therapeutic measures. Combining treatment with recommended ergonomic and lifestyle considerations can go the long distance in not only helping to alleviate pain but preventing pain in the first place. Millions of people suffer headache at least once in a while. Headache is very common, and often recurring. Sometimes the cause is related to spinal integrity, sometimes it's tension or stress, or due to holding the head in an awkward position (such as at a computer work station) for an extended period of time. Painful, often debilatating migraine headache affects a large segment of society. A migraine headache is a vascular headache; blood vessels in the head constrict. There as many theories about the causes of migraine headache as there are questions about it. Important to the individual suffering, the apparent question is 'where can I find relief"? And fast! Migraines manifest with symptoms as intense one-sided head pain, nauseau, 'flashing lights' (visual disturbances), and for some, pre-symptoms include disorientation, frequent urination, a tingling sensation to the scalp, and fatigue. 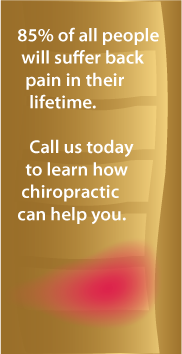 See your chiropractor today to talk about your symptoms and to get the help you need. Our doctors can help you decide when a referral to specialized health care may be required for your health. It is our goal to always move you toward the best health care solutions. Discuss the questions and concerns you have with Dr. Thorpe. Getting help for head pain at the onset can prevent a lot of suffering. Often, and especially with migraine pain, the tendency is to isolate away from others. Consider the benefits of immediate chiropractic treatment for faster recovery. It's smart to ask for help, and that's why we are here for you.